Hot pizza deal! 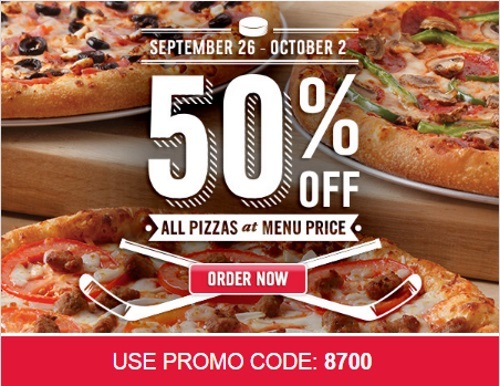 Domino's is offering 50% off all pizzas at menu prize this week! Enter the promo code 8700 at checkout to get this offer. Valid September 26-October 2, 2016. Click here to order from Dominos.